The Limoges area is a convenient point at which to break the 10 hour journey from Calais to the Pyrenees for example and allows you to head on your way refreshed and well fed. 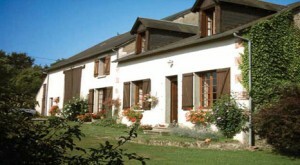 Just 4 kms from junction 20 of the A20 (5-6 hours from Calais, you won’t be taken too far off your intended route if you stop for the night at this family friendly and dog friendly B&B. Sarah and Chris have got the art of hospitality down to a fine art. Great value accommodation, great value home-cooked evening meals, family-friendly, dog-friendly, a plunge pool and a warm welcome. After a good nights sleep in the comfy beds you’ll be ready to head on your way in the morning refreshed and ready to go. You only need to travel 3 kms from exit 23.1 of the A20, 30 minutes north of Limoges to arrive at this welcoming British-owned B&B. That’s pretty convenient and handy if you have time constraints on your journey. Shady garden spaces, beautiful period features, family friendly and great evening meals are the keywords here. 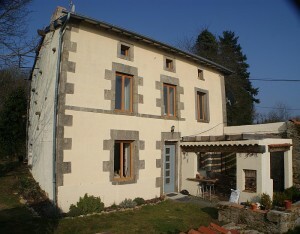 Understated elegance in a comfortable family home make this B&B near Limoges worth every penny. Getting closer to Limoges (6 hours from Calais), this unbeatable value B&B is a mere 6 minutes from junction 25 of the A20 autoroute. 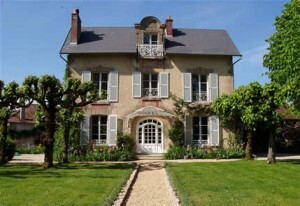 It has the big advantage of being within walking distance of the Lac de Saint Pardoux. The lake is a great spot for chilling out on a summer’s evening after a long drive. With 2 double rooms at around £50 per night, this is the ideal spot for the traveller who needs a budget stopover. Walk down to the lake for a dip before returning to the B&B for a home-cooked dinner and a good night’s sleep. That’s not bad now, is it!